Place crystal grids for protection or abundance in the bottoms of pots before planting. Er... I don't think so. Sounds like a lot of work and resources for little gain... maybe one could put a protection or abundance crystal in the bottom of pots, or what ever one wishes to attract to one's life. And perhaps one could paint the pots in an appropriate color, and add appropriate decoration etc. But the crystal grid of protection for personal protection isn't a bad idea. 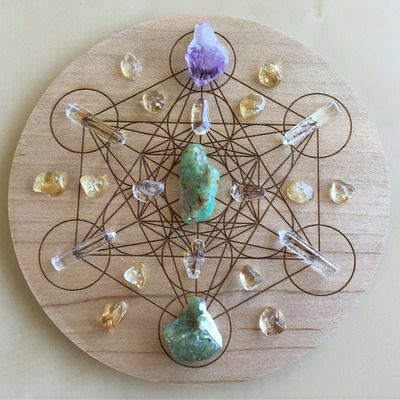 Also, learning to use the crystal grids is a good idea.